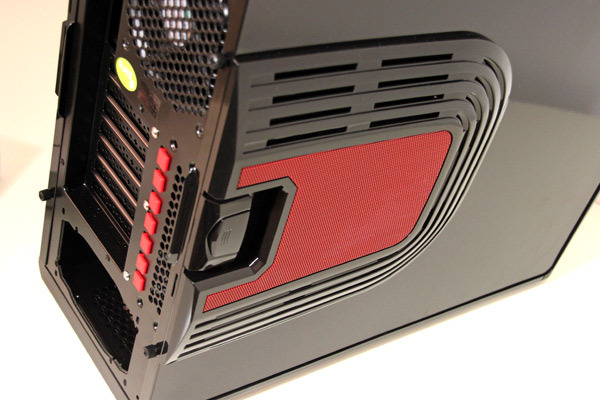 The Ultimate Case is the latest case to come out of Cooltek's design department and you can get your hands on it via Cooltek’s online shop at €89. 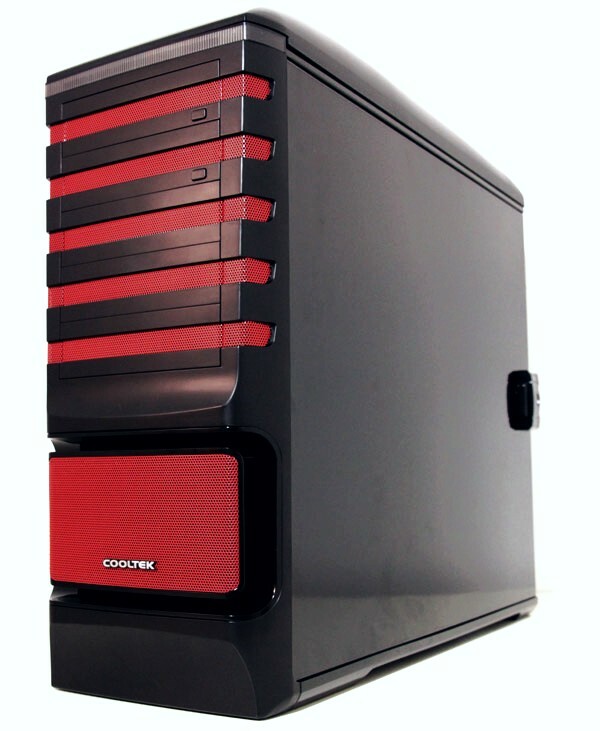 We’re talking about a full tower case aimed at users who want like their cases better cooled and with more room inside. 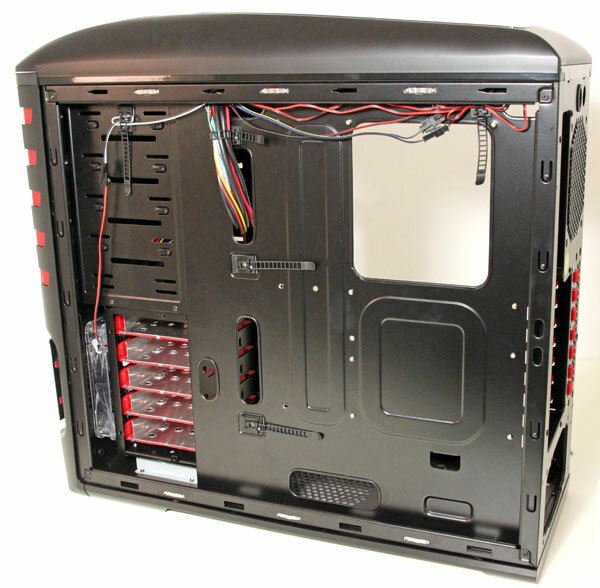 The case comes with four fans, a control panel and a few things we’d love to see on other cases. 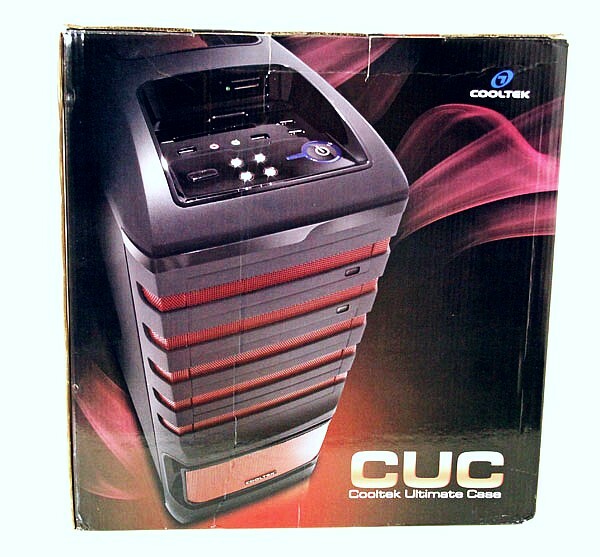 All in all, CUC as Cooltek likes to call it, is a pretty interesting case. 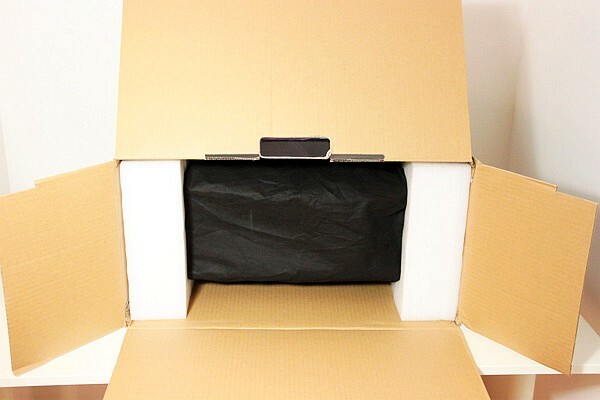 Cooltek Ultimate Case packaging is a cardboard box – still it’s sturdy enough. Plenty of pictures and specs can be found on the box. All the details are written in English and German. We must admit that CUC is a fingerprint magnet and we realized that while unpacking it. This means that without cleaning, CUC won’t keep its good looks. Fortunately, Cooltek thought about everything and as we went on digging through the box we found a nice cleaning cloth and a couple of other things. 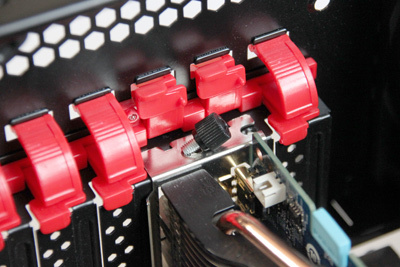 As you can see from the picture below, Cooltek really thought of the little things – something we don’t see very often. CUC isn’t lacking in details but it does seem somewhat “plasticky” and thus gives the impression of being cheap. 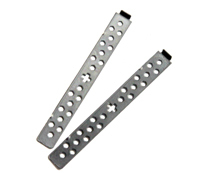 It’s made of 0.8mm steel and plenty of plastic. 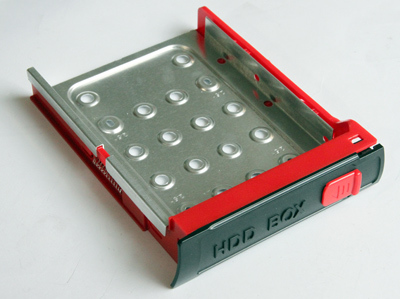 The case measures 210 x 525 x 560mm (W x H x L). Side panels are made of steel but the front and top panels as well as the extrusions on the side panels are made of plastic. Of course, considering the price this is quite understandable. Cooltek sacrificed steel in order not to skimp on accessories and features – and we’re all for that course of action as long as the functional aspect is improved or at least left intact. The front panel houses five 5.25’’ bays, first two of which have movable lids. This is of course purely for aesthetic reasons. 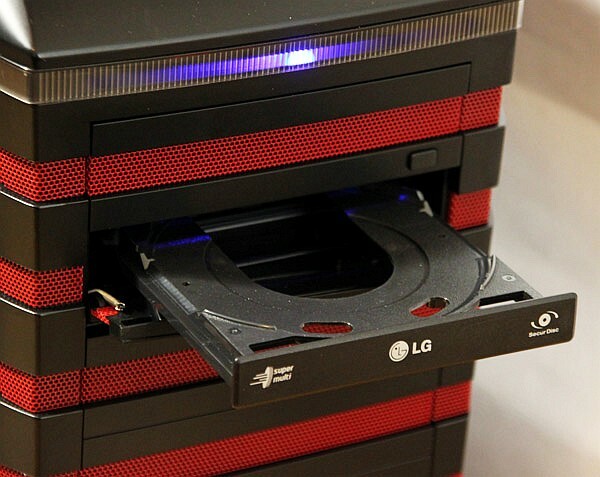 Mounting optical drives requires you to take the front panel off – a simple tug on the bottom will do. On top of the panel you’ll find a blue LED. The red stripes are made of fine mesh. 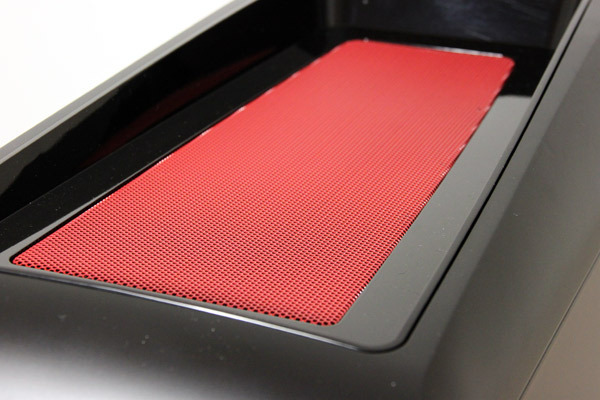 Of course, the 5.25’’ bays are entirely closed but the mesh that holds Cooltek logo acts as an air inlet. Behind it is a thin dust filter protecting the 12cm blue LED fan. Control panel is neatly placed and packs plenty of connectors. 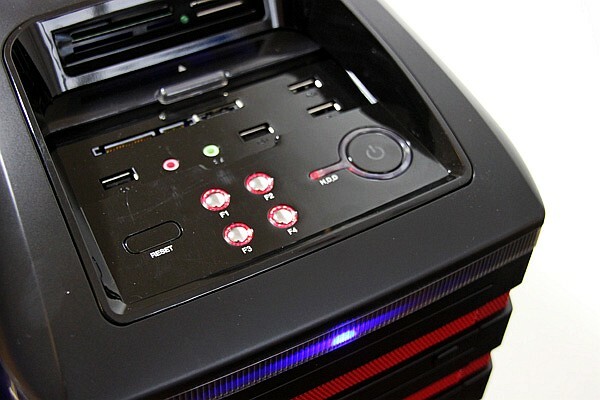 The control panel houses four keys for turning preinstalled fans on and off. The fans run at fixed RPM and they’re quiet; all the fans except the one on the rear panel have a blue LED. 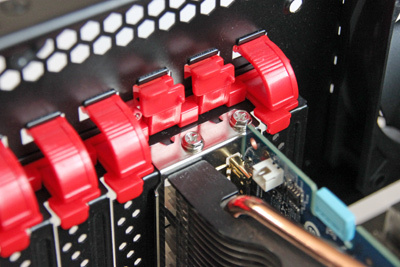 The fans as well as the control panel keys come with 2-pin connectors. 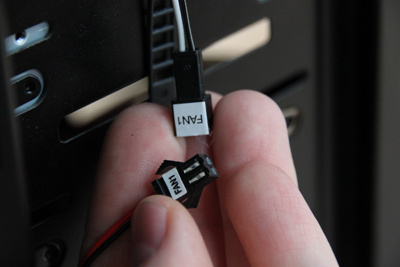 The panel has no hot-swap nor USB 3.0 connectors but it does come with one SATA power and one SATA data cable that can be used to connect SATA devices. Cooltek again seems to have thought of everything and ships the aforementioned cables with the case. 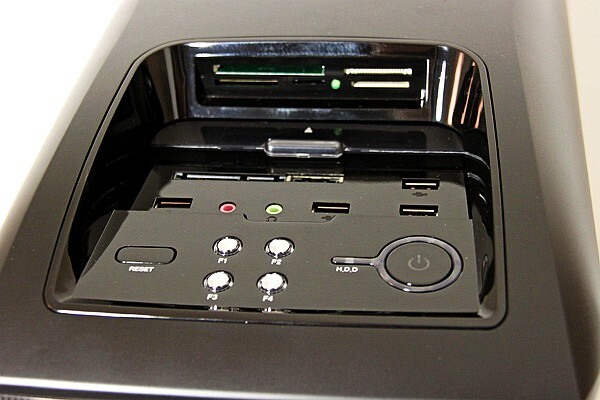 The panel also houses one eSATA connector and four USB 2.0 connectors between. USB connectors are nicely spaced apart and you’ll find plenty of space for those thick USB sticks. Same goes for audio connectors. The final touch is the All-in-One card reader and the plastic cover which can be used to prevent the control panel from getting dusty. Behind the control panel is the red mesh again, hiding two 120mm fans. Cooltek used dust filters on top of the case as well. 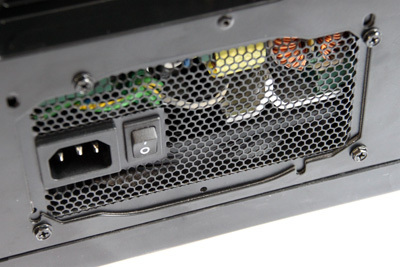 Top panel blue LED fans are fixed to the construction whereas the control panel is a part of the hood that covers the top of the case. 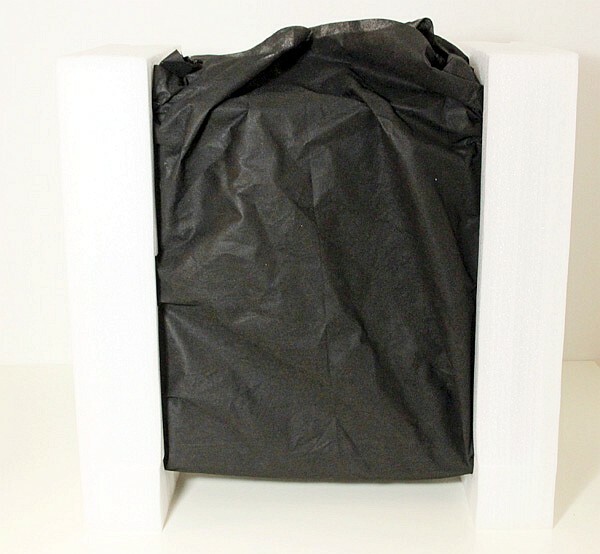 The left panel (picture below) has a plastic handle and also comes with a dust filter. 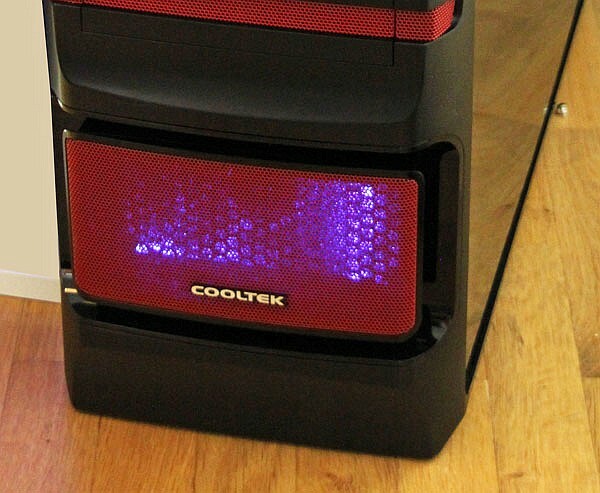 However, Cooltek obviously didn’t intend to use a fan here. Cooltek made a special mechanism for opening the panels, making sure that the panel doesn’t open even when not fixed with screws. 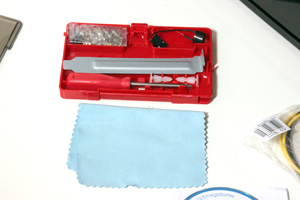 Pressing the mechanism and a light tug will make the side panel come off easily. Same procedure is valid for the right side panel. 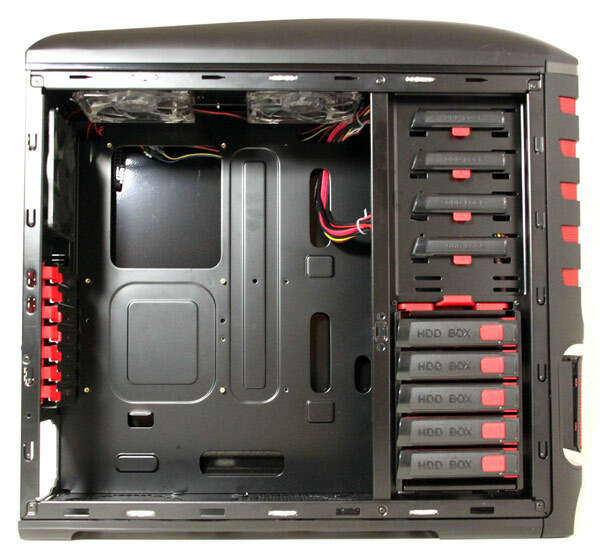 We’ve already shown you few pictures showing the rear of the case, where you can see 7 expansion slots. The PSU is on the bottom of the case. 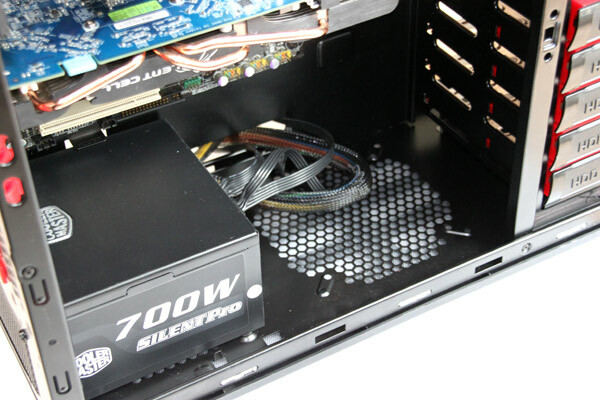 Unfortunately, we lost the rubber cap that’s supposed to cover the water-cooling holes. The case uses rubber feet which help with reducing vibration noise and keep the case less than 1cm off the ground. The top panel isn't flat, but rather curved making the CUC seem taller than it is. 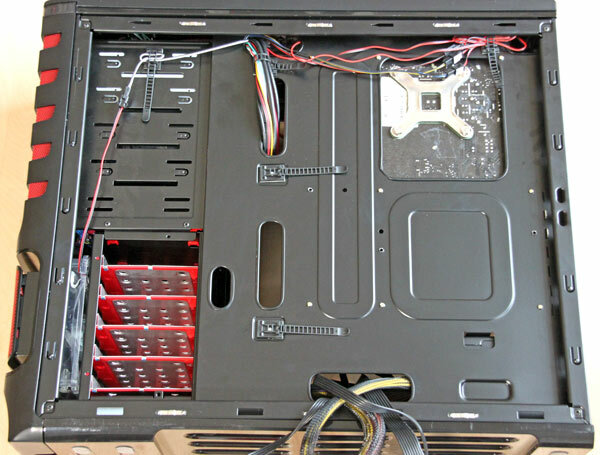 Within the case you'll find plenty of space for standard configurations, but it might be a bit small for some chunkier CPU coolers. 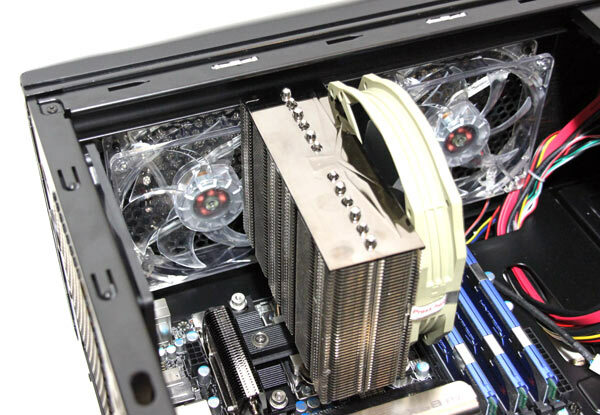 Unfortunately, our Prolimatech Armageddon CPU cooler wasn’t quite a great fit – as you can see from the picture below. 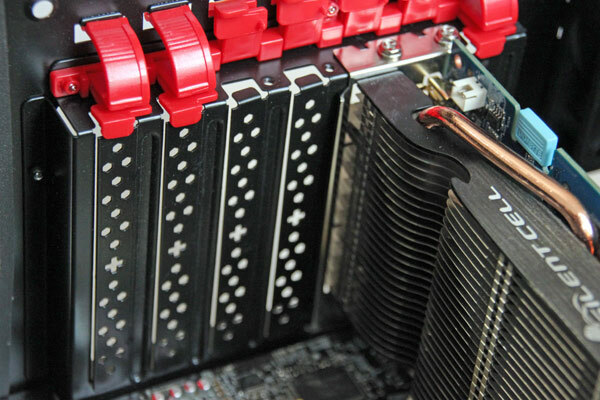 You will have to make sure that the CPU cooler’s width doesn’t exceed the upper edge of your motherboard by more than 1cm if you’re planning on this case. We ended up using CoolerMaster’s passive Hyper Z600, which fit like a glove leaving about 1cm between the top panel fans and the CPU cooler. 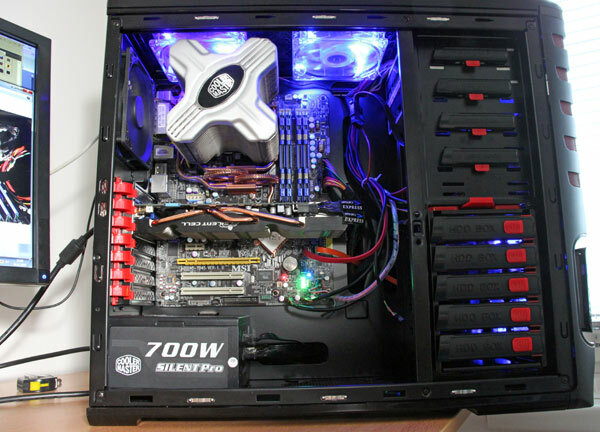 Graphics cards, on the other hand, are covered just fine and the case will take HD 5970-sized cards with ease. CUC will take five 5.25’’ optical devices and, as you can see from the picture below, Cooltek used toolless mechanisms. 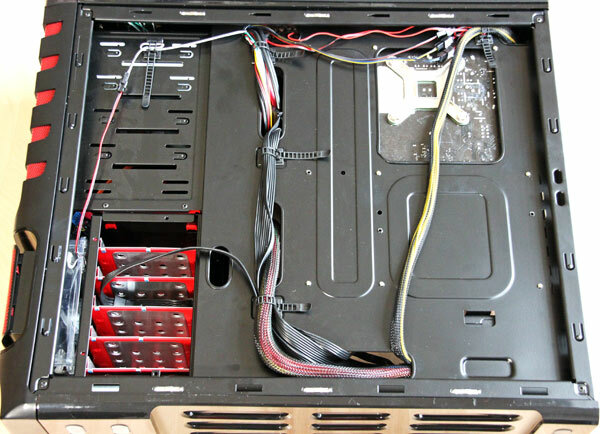 The case has five drive bays. The bays are universal meaning they’ll take 3.5’’ or 2.5’’ devices. 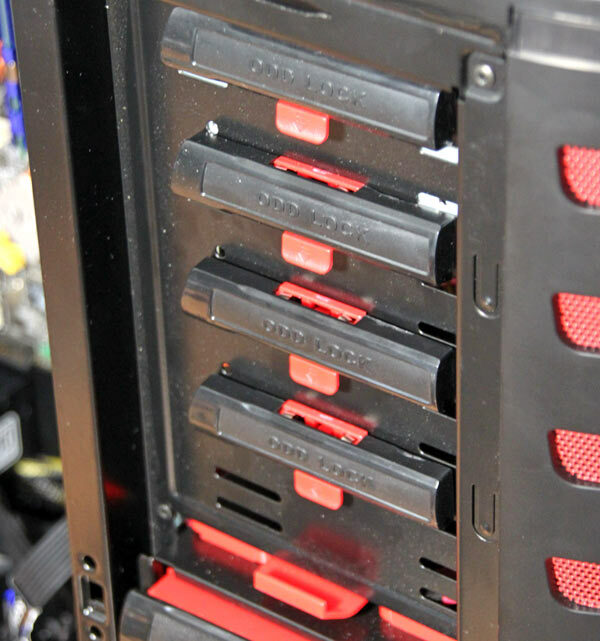 The bays seem frail and are pretty light, but we must admit they’re quite functional. They’re easily taken out and are stable when in place. 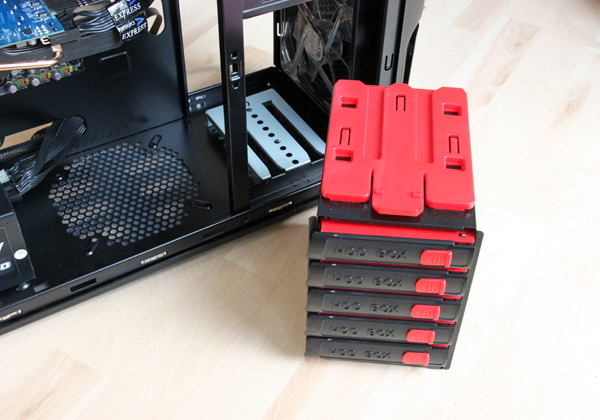 The entire HDD bay cage can be easily dismounted – a simple tug will do. 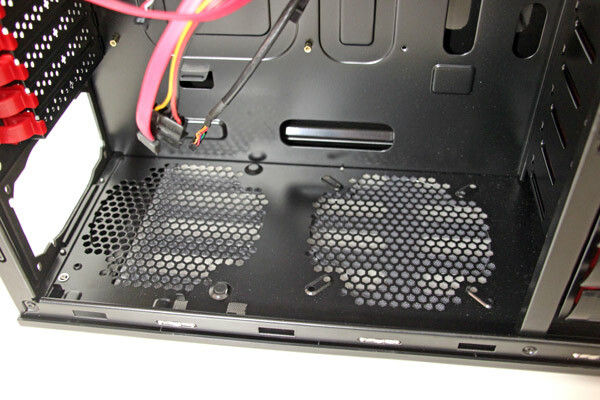 As you can see from the picture, it reveals the front panel fan. The fan on the front panel is a 14cm blue LED fan. It’s connected to the control board via a special connector but the fan’s RPM can’t be controlled, which is the case with the rest of the fans as well. 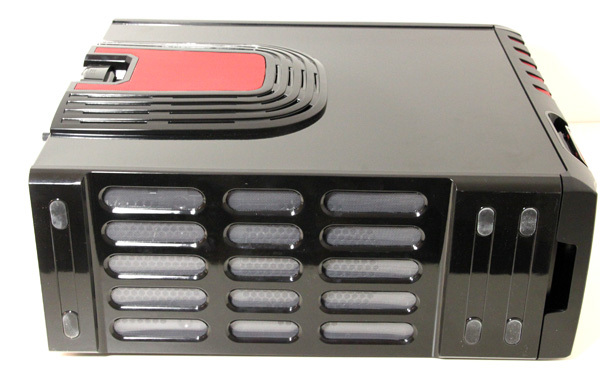 The control panel is used to independently turn the fans on or off. 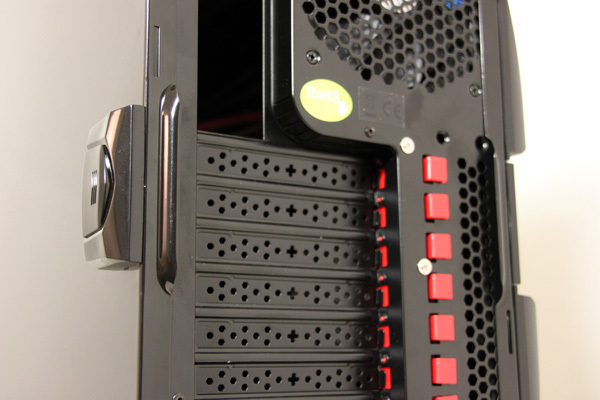 Seven expansion slots feature a tool free locking mechanism which we must admit comes in pretty handy. If, however, you like the old fashioned methods, you can dismount the locking mechanism. The thumbscrews holding the side panels unfortunately won’t fit here because they’re wider. Once the metal slot caps are removed they can’t be put back. However, the company says that retail cases will actually have replaceable caps. Rubber seals are always a welcome touch although we’re more used to seeing them shipped with PSUs; not that we’re complaining, of course. 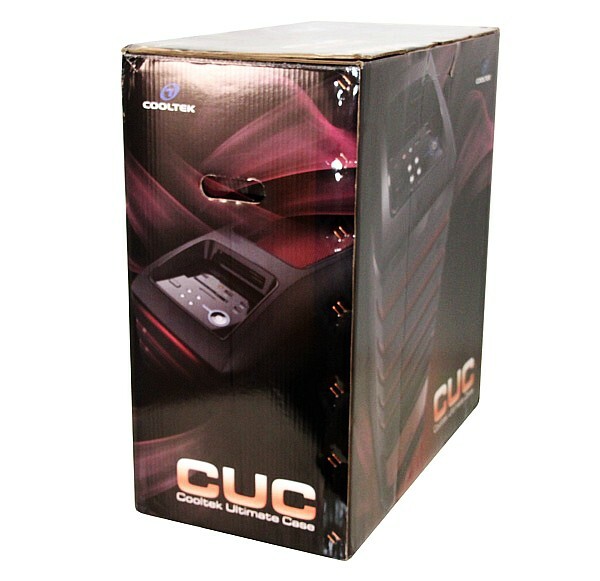 As you can see from the picture below, CUC comes with preinstalled seals. 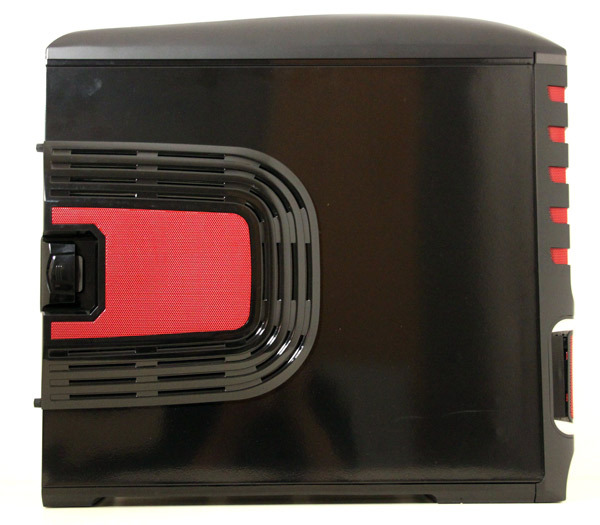 The bottom panel has room for one optional 14cm/12cm fan. There’s plenty of holes and room for cable management. The task of arranging the forests of cabling won’t be a problem in tthe CUC because Cooltek provided cable straps on quite a few spots. 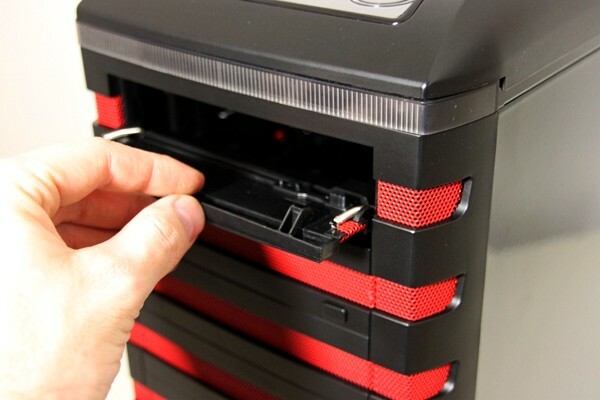 Some much more expensive cases don’t feature this and we’d very much like to see other manufacturers following suit – it doesn’t even cost that much but it makes a difference. 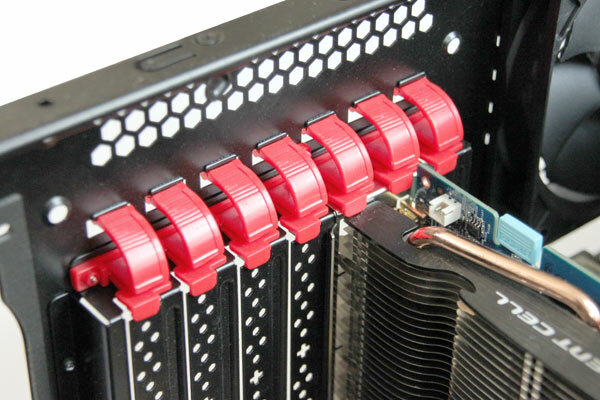 The PU socket hole is pretty large and you shouldn’t have much trouble mounting large CPU cooling backplates. 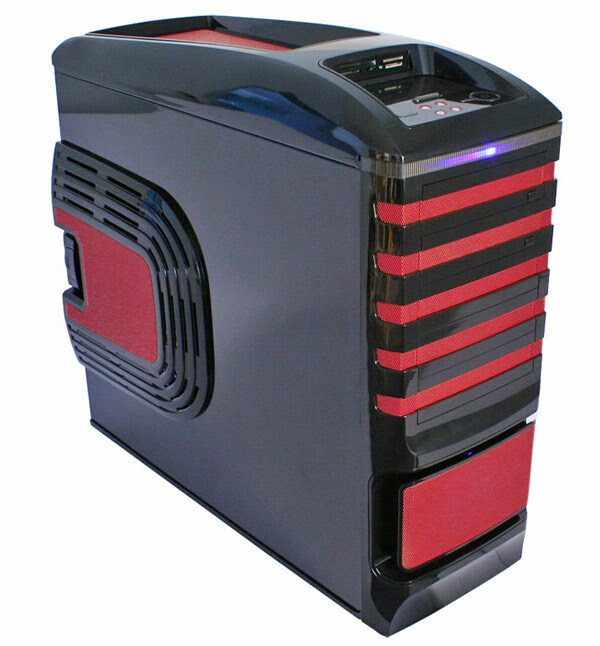 Cooltek strapped its case with four fans which are pretty quiet. That’s not to say that they’re entirely silent but it will be enough for most users. One thing is for certain – you won’t lack lighting within the case as three out of four fans on this case come with blue LEDs. 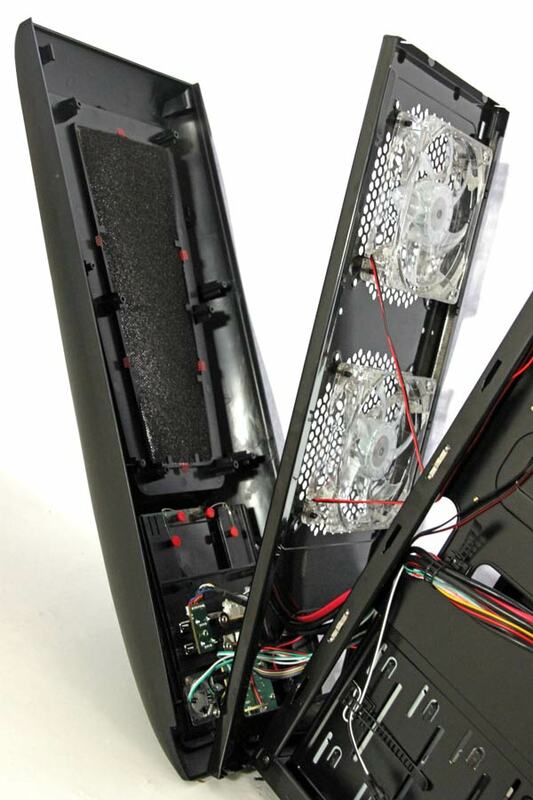 The control panel on the case will allow for independent turning on/off of fans but the LED can’t be killed without turning the entire fan off. 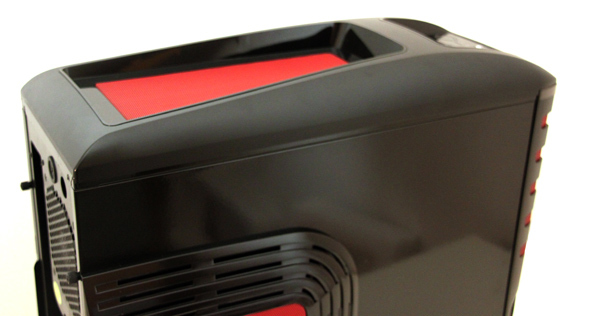 The case is pretty roomy and will take anything but the largest of CPU coolers. 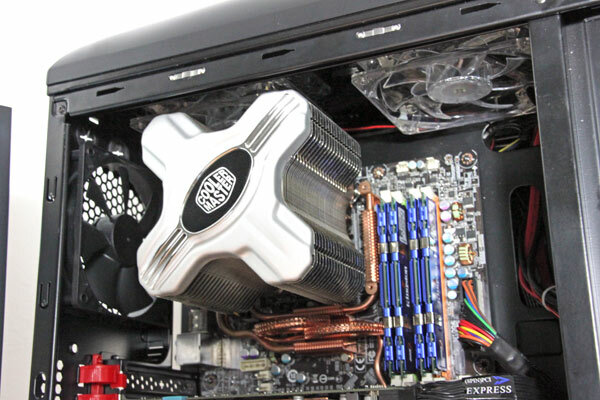 Furthermore, it will easily take what’s currently the longest graphics card – HD 5970. 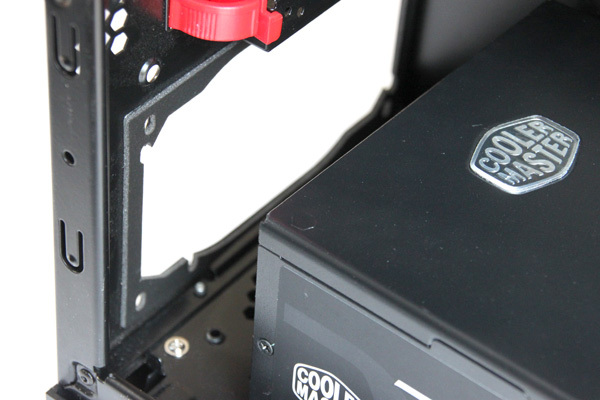 Cooltek paid much attention to the toolless mechanisms and we must say it’s a job well done. The mechanisms are simple and effective but are made of plastic, making them seem a bit fragile. This means that you might want to take care of them if you plan on using them for a long time to come. We pushed the CPU with Prime95 while the graphics card was idle. 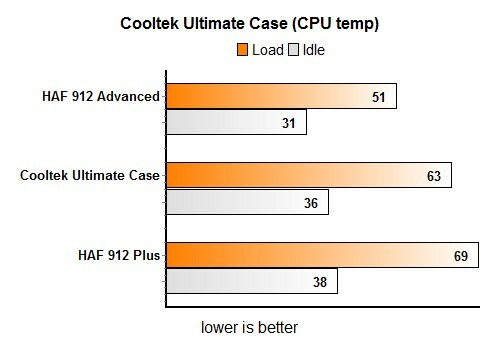 The following table clearly shows that Cooltek Ultimate Case packs plenty of potential and that it can proudly take on some cases with a much more superior pedigree. 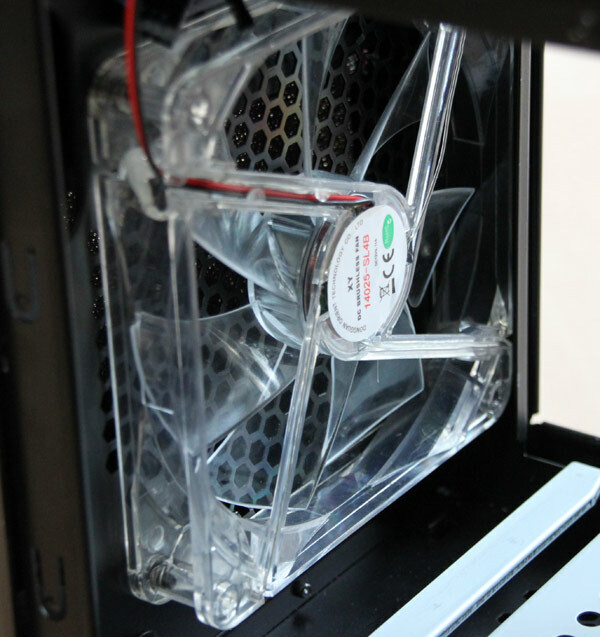 During our testing, all the fans ran at standard RPM that can’t be changed. 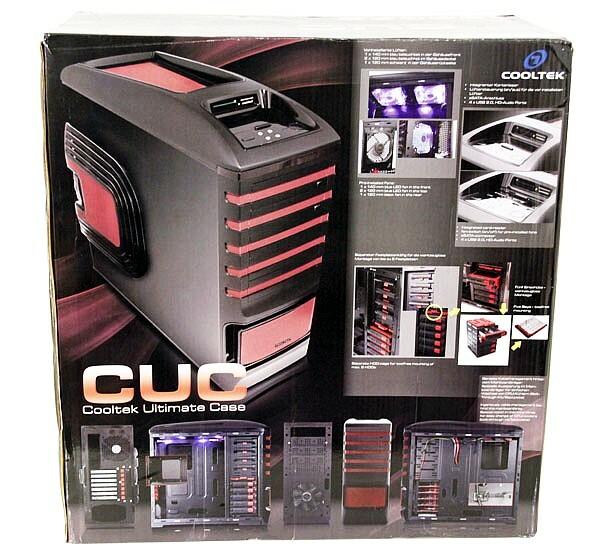 Cooltek Ultimate Case is available and priced at €89. 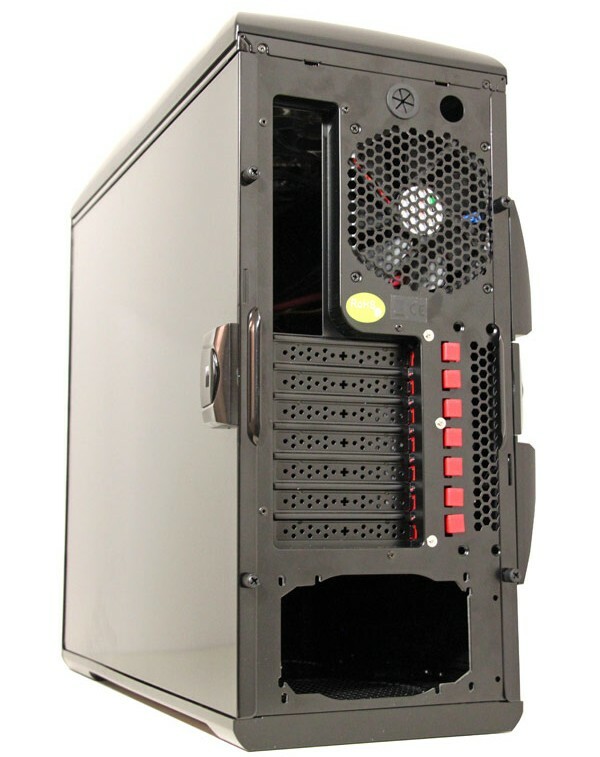 Its price clearly shows that this is not just a low-budget full tower case, and although this is Cooltek’s first full-tower design they’ve done a pretty good job. 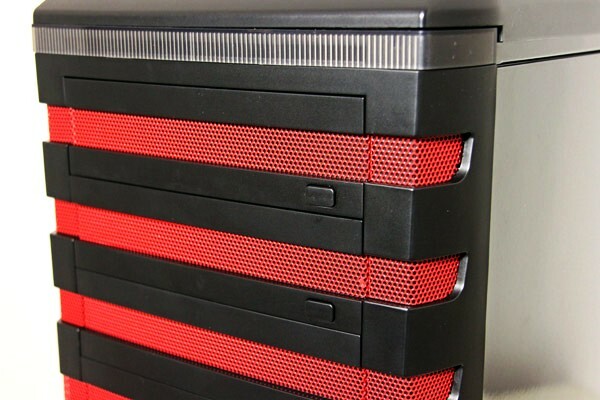 Rather than borrowing design features, Cooltek entirely designed the case and tried to offer everything other cases may lack. The fans are not loud but not inaudible either while cooling performance is on par with similarly priced cases. 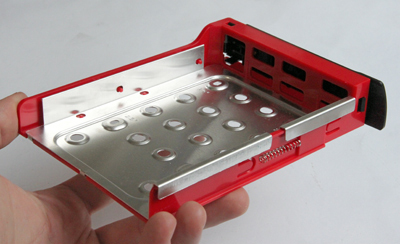 As far as manufacturing and finishing touches go, the case is sturdy and won’t vibratee or make noise. 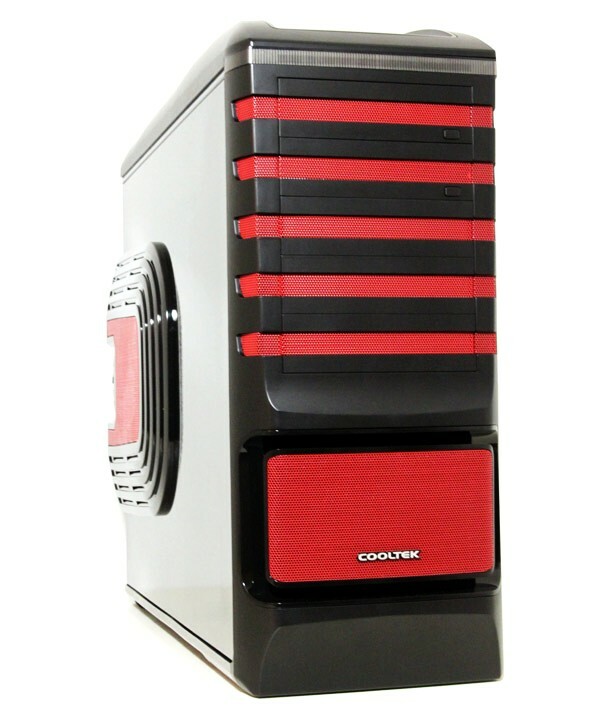 In short, it will be tough beating Cooltek’s Ultimate Case in this price range, as it is a great bang for a buck. 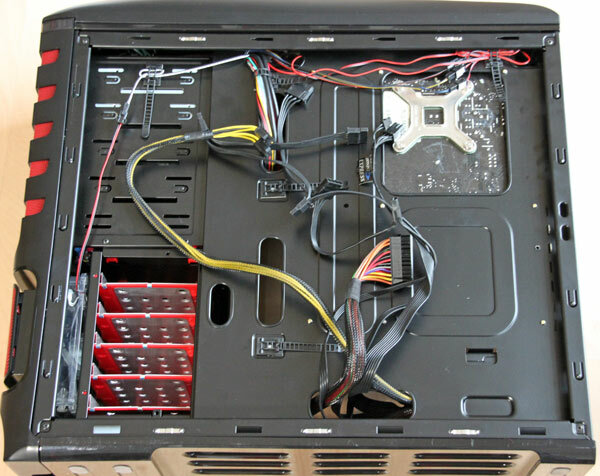 The case’s control panel looks pretty nice and packs eSATA, audio, few USB 2.0 connectors, card reader, power and data SATA connectors for external disks and four keys for turning the four fans on and off. Unfortunately, there’s no USB 3.0, the fans’ RPM can’t be controlled and the LEDs can’t beturned off without turning the fans off. The toolless mechanisms came in pretty handy but are made of plastic and seem fragile, but despite our best efforts (and trust me, we’re good at it) we didn’t manage to break one. 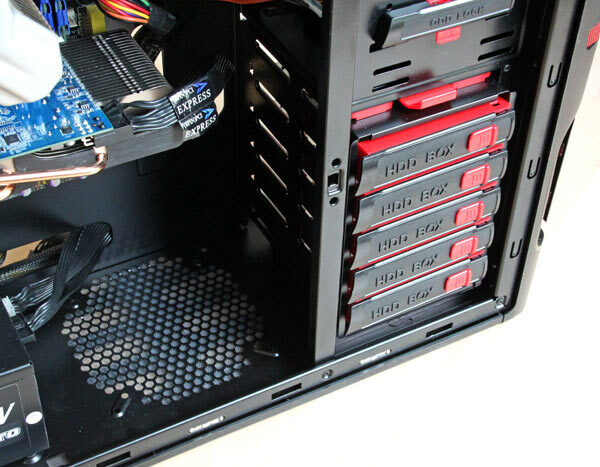 The case packs plenty of room and the fact that our Radeon HD 5970 was a comfortable fit speaks for itself. Cooltek wanted to make sure that its Ultimate Case is one mean competitor in its price range, and it seems it has achieved just that. 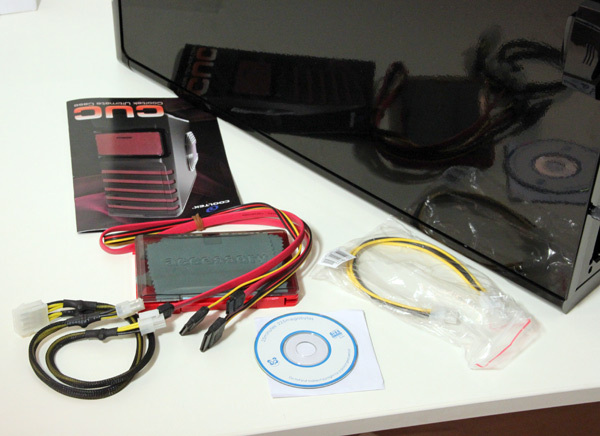 While the looks will probably be instant hit or miss with users, CUC is one of the most functional cases we’ve seen in the sub-€90 price range and with that in mind we’d recommend it in an instant.